YouTube | six words to change the world. youtube clip of today: baby taekwondo. This is your Monday moment of Zen, y’all. youtube clip of today: baby monkey. youtube clip of today: double rainbow. Can you imagine having this much enthusiasm about a rainbow? Amazing. And hilarious. Best line: What does this mean!? If I didn’t know any better, I’d say it was a Will Ferrell sketch. Enjoy! And happy Thursday, readership! youtube clip of today: better marriage? 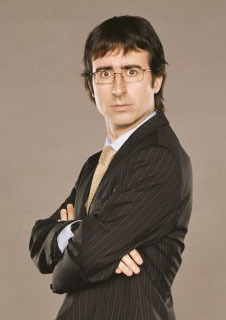 john oliver needs his own show. 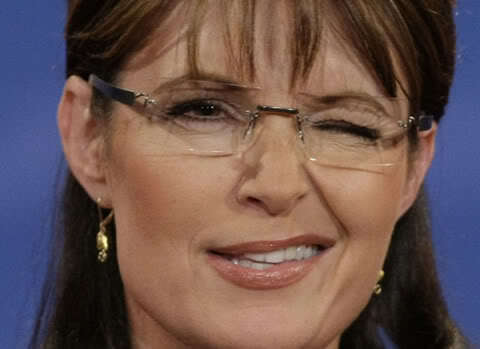 The following video brings together two of my favorite things: John Oliver and ripping apart Sarah Palin. For more Palin-bashing fun, please refer to Kathleen and Mallory’s thoughts on the subject. boston train almost hits drunken woman. This video is just plain terrifying. The completely plastered woman in the video stumbles off a Boston train platform and falls onto the tracks. Being too drunk to process that she is in extreme danger, she just lies there. Passerbys on the platform wave frantically to the incoming train, because the conductor can’t see that the woman has fallen. The conductor can tell something is seriously wrong and puts the brakes on early. The train stops literally on top of the woman, but miraculously doesn’t hit her. When interviewed, the train conductor said she didn’t do anything heroic – just that she followed emergency procedure. While she couldn’t tell exactly what was wrong, she sensed it was something serious by the way the people on the platform were attempting to signal her and how they were standing so far beyond the yellow line. I wonder if this brush with death will inspire drunk lady to lay off the sauce. nothing beats tuesday blues like puppies! This YouTube video should entertain even those who aren’t obsessed with puppies to the degree that I am. Watch this little girl magically escape from her crate. Hope everyone had a fantastic Labor Day weekend!